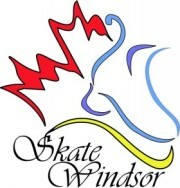 Skate Windsor programs are run by Certified NCCP Coaches, trained in the latest techniques. When registering with us you can feel confident that your child will be participating in the NEW SKATE CANADA CANSKATE PROGRAM. Skate Windsor accepts Cheques, Cash or Credit Card which include Visa, Mastercard or American Express at no additional fees. Any non-clearing cheques will be charged $40.